Sharing medical data is essential, but the best way to accomplish it is debatable. Interoperability is a key goal in modern health care. An increasing number of physicians outside of radiology demand access to images, and many organizations have moved away from PACS and toward vendor-neutral archives (VNAs) in an attempt to smooth out variations in image viewers and file formats. As the concept of enterprisewide image access has taken hold, newer types of images, such as dermatology photos and endoscopy images—not to mention the nascent efforts to digitize pathology images—have increased the complexity of choosing an archive solution. So what's the most effective way to distribute images across a medical enterprise? The simple answer is: It depends. The vendor-neutral aspect of VNAs has been the main factor in their rising popularity, but VNAs are not a one-size-fits-all solution, according to Don Dennison, FSIIM, president of Don K. Dennison Solutions, Inc. Although VNAs may help some organizations streamline their image and data sharing, there are many factors to consider when evaluating image-sharing models. The first consideration, Dennison says, should be to determine exactly the problem that needs to be solved. "Start with the problem you have," he says. "Once you've done that, look at what can functionally solve those issues. You can find products that are labeled as VNAs that are missing core parts. And you can find products that are labeled as PACS that have more functionality than you need for the problem you have. So, I often encourage people not to assume that VNA is better than PACS in 100% of cases. Labels may make it simpler for the consumer to make a decision, but they don't always lead to the best possible place." Getting to the best possible place is the goal of every organization, but there are many roads that may lead there. Dennison discussed some of the possibilities at the 2018 Society for Imaging Informatics in Medicine meeting with Jason Nagels, CIIP, PMP, clinical program manager for Hospital Diagnostic Imaging Repository Services in Markham, Ontario, Canada, and Matthew C. Hayes, CIIP, MBA, enterprise imaging architect for Ochsner Health System in southeastern Louisiana, in a session titled "Enterprise PACS vs Vendor Neutral Archive: Choose Wisely." Dennison says it's important to consider cost, complexity, and how easily a VNA or PACS interfaces with other systems. It's also important to specifically define what enterprise imaging means to the organization in terms of the informatics related to metadata, technical information about content, editing tools, and analytics tools. There are many options, and different vendors define the term differently. "Industry may not agree on the best ways to handle informatics processes," Dennison says. "You have to understand that certain vendors support only a certain way of doing things, so if you choose that vendor, you're basically buying into their philosophy of managing these concepts." One of the early drivers of VNA adoption was the desire to shift control of the archive from vendors to facilities. The expensive and migraine-inducing data migrations that occurred every time a facility switched PACS vendors was enough to make many organizations at least consider a VNA. The situation today is a little more complex. Some organizations have optimized their PACS in ways that allow them to control and share their data without the need for a VNA. "But, although there are many variants in the types of PACS that are available, not all are optimized," Nagels says. "I haven't seen many instances of optimized PACS solutions." For organizations with multiple sites, Nagels says a VNA can provide autonomy for each site. Individual sites can pick a PACS that meets their needs without having to consider other sites' needs. For image sharing, prefetch rules between the PACS and the VNA can be established, and there are fewer issues with procedure codes. In addition, each site can keep its own lexicon of medical procedures without having to correlate with the other sites. Although some current PACS offer more streamlined options, Nagels says some organizations aren't in a position to implement an enterprise PACS. His organization has 22 disparate PACS connections from nine different PACS vendors, and many sites are operating on older technology. Although there were some challenges in setting up the interfaces to the VNA, he says the process of integration was less taxing than it would have been to find a PACS that met each site's needs and force them to switch. 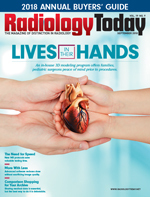 Despite the advantages the newer PACS offer for imaging workflow, an area where Nagels sees VNA being increasingly important is enterprise imaging, specifically in nonradiology departments. Saving a cellphone snapshot of a dermatological condition to PACS requires a defined process that most health care organizations don't have. And, while a lot of progress has been made in digitizing pathology files, which are much larger than typical CT or MRI files, Nagels says the technology is currently at the stage where radiology was in the mid-'90s with many proprietary formats that need to be standardized. Ingesting these newer types of data in a PACS may be difficult for many organizations. "PACS is built for radiology workflow, but today's medical enterprise is based on the patient encounter," Nagels says. "VNA can be a better option for encounter-based imaging." One thing that has changed about PACS in recent years is that more of them have started to respond to the market demand for vendor neutrality. Hayes notes that some prominent archive vendors, such as Acuo and TeraMedica, have been purchased by companies that have PACS—Hyland and FUJIFILM, respectively; Hyland's solution is not a traditional PACS, however, but a "deconstructed PACS." "These primary PACS vendors have already gone ahead and incorporated a lot of the technologies and a lot of the flexibility that VNAs originally offered into their portfolio," Hayes says. "I think, because of that initial trend and that initial launch off [toward VNAs], the PACS vendors are pivoting accordingly to make sure that they bring those types of features to their portfolio to lessen the appeal of going to a third-party neutral archive." The combination of more flexible archiving with radiology-specific tools may induce more organizations to consider an enterprise PACS, Hayes says, especially if the organization is predominantly imaging oriented. Enterprise PACS also offers the potential to streamline vendor contacts. Although VNAs are vendor neutral, Hayes points out that they do add an additional vendor to the mix. Depending on the technical capabilities of an organization, the interfaces needed to connect PACS with a VNA may be problematic. Some organizations may prefer less complexity. "Sometimes the best option is fewer options," he says. Hayes agrees that nonradiology images are a challenge for any type of archive. All archives need the capability to manage different types of images. As for whether universal viewers would be useful, Hayes says a viewer is only as good as the archive it uses. Whether decision-makers decide to adopt an enterprise PACS or a VNA, he says there are many good options, but it's crucial to assess the organization's needs. "What's going to be key is having a good handle on an assessment," Hayes says. "Technology should fit the institution. It's a disaster when an institution tries to bend to the technology." Dennison says there is a long list of things to consider when evaluating archive options. The first is data sources. This includes all imaging and nonimaging data. The archive needs to be able to map data to their source and normalize the files in a standard format so they can be retrieved by connected systems and viewed by users. This may require extensive conversations between IT and the vendor, he says, because there may be differences in the way each group conceptualizes the mapping process. Understanding what is stored in the archive and the ability to route data is another consideration. Some vendors may store numerous fields of metadata; others store only a few. Dennison says more is not always better. "What happens is, at a large scale, where one database is three times larger than the other, the time to back up that database—the amount of data to be replicated—comes with an IT burden," he says. "So you have to make sure you design a system with the processes that could handle these massive database tables that are consuming space at a much higher rate than some other system." It's also important to be able to extend the archive system to track additional data fields as the organization deems necessary. In addition, choosing a storage solution that is designed to store the types of file sizes found in medical imaging is crucial, Dennison says. If the block size of the storage solution is too large, it can leave empty space at the end of CT and MRI images, consuming much more storage than expected. The system must also add and subtract storage as needed, as well as easily move data from one storage pool to another. Ultimately, the decision to adopt a VNA or enterprise PACS will come down to the organization's needs and, often, its size. Dennison says small standalone hospitals require a system that's simple and easy to manage, and comes with ample vendor support. Large systems that span the country are probably best served by regional archives that mitigate the effects of high-volume data transfer and latency—the time it takes for data to move from one point to another. In the middle are multisite systems that are looking to streamline their processes. "Once somebody decides to consolidate the PACS into one system—because that's going to give you the payback of loosening a position, image sharing, consistency of modality integration, consistency of quality control and quality assurance processes, one database backup, and it's highly available—once they've got all that, the question becomes, 'Do I really need a second vendor for my archive, or can't I just get the same archive from the PACS center?' That scenario is common in all medium to reasonably large size health systems; they're all in the same boat," Dennison says. "It's at that moment where this debate matters."